HOW SHOULD MOST COMPANIES THINK ABOUT CYBER SECURITY? 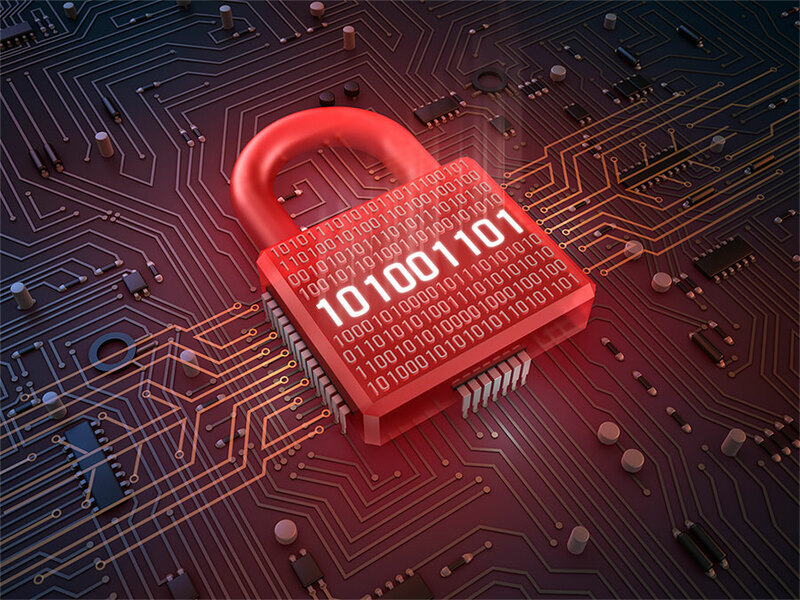 How vulnerable is your company to a security breach? When is the last time your information assets, technology infrastructure, or your employees had a Cyber Security Assessment or been trained? The more advanced and exposed the technology landscape becomes, the more Cyber Security - in its many different forms becomes a vital aspect of protecting your business or organization. Every time there is a successful outcome to a Cyber Security attack – such as a data breach - there is a severe impact on an organization’s brand, image and business. It is time to TAKE CHARGE of your organization’s security posture! Customer information security is a top priority for all companies. Although organizations ever strive to be secure, it is nearly impossible to keep up with the pace of evolving attacks by sophisticated hackers. Employing expert professionals is critical to keeping your organization secure. 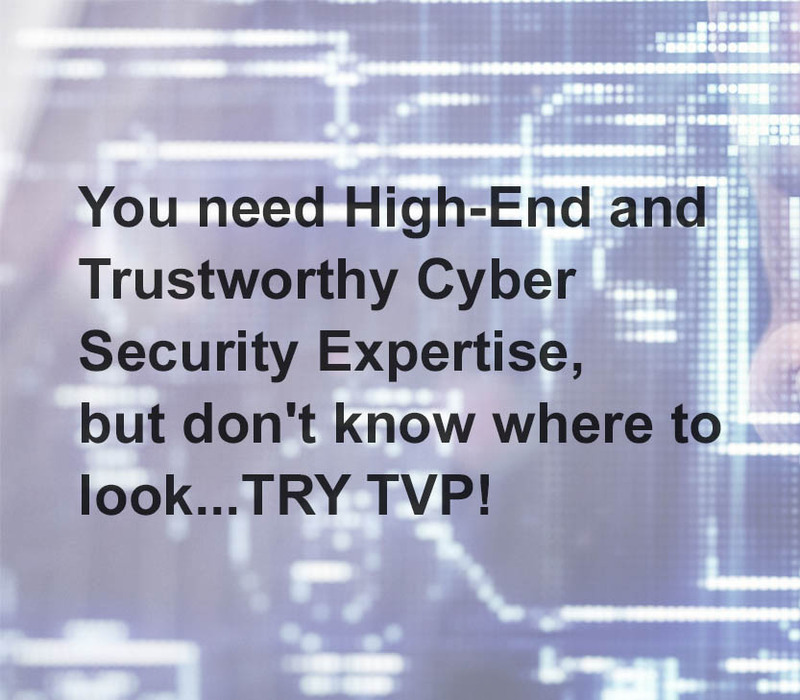 The TVP Cyber Security Team provides a compendium of experts to uncover cyber threats that can cost you time, money and reputation. When you engage our team, you will be equipped with actionable intelligence to identify and mitigate security issues you are facing. 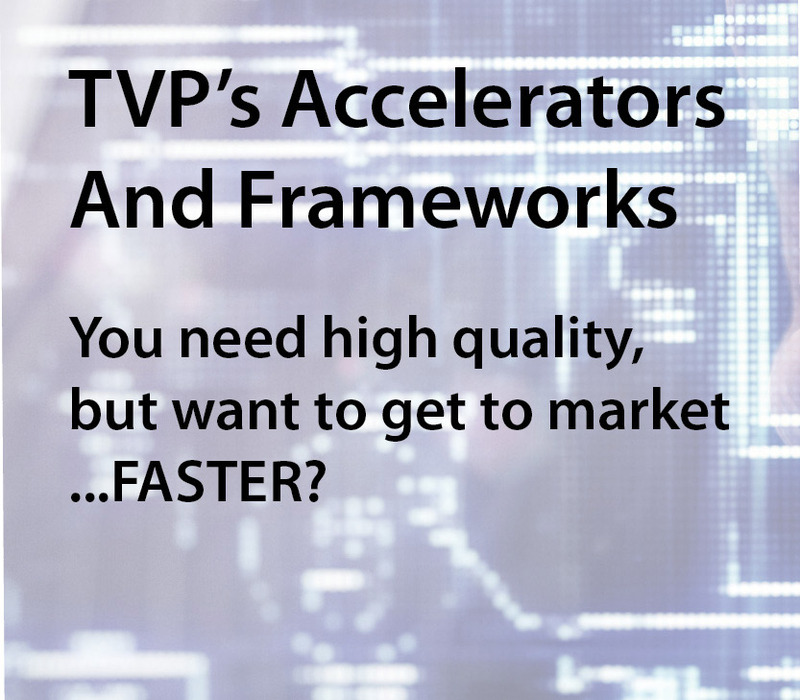 Our team does not try to sell you a service or product that you don’t need. Each of our engagements starts with an assessment of your current security environment. The results of each assessment will inform us - and most importantly YOU – where to focus our attention in providing additional services. You tell us what is most important to you and we are happy to serve you in whatever capacity you need us to! 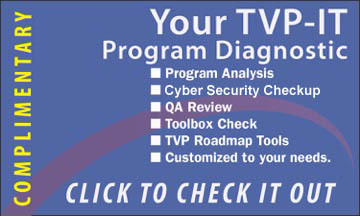 Here are a few highlights of the work the TVP Cyber Security team has done in the past. Technology Analysis: Performed Internal Network assessment of the VOIP Architecture for Real Time Services (RTS) for the Defense Information Systems Agency (DISA). Enterprise Security Assessment: Performed Security Architecture assessment of the Email infrastructure for both unclassified and classified Department of Defense (DoD) email environments. Application Security Assessment: Performed preliminary Web Application assessment of WordPress instance to identify potential Open Web Application Security Project top 10 vulnerabilities. Cyber Security Consulting: Served as Technical Lead of Software- Based Encryption and Insider Threat & Detection for an Advanced R&D program. Provided recommendations and guidance on the resolutions of all technical challenges relating to the execution of the program.